Sara McClung: Do you want these ARCs?? But between packing and getting everything in order and set up, my reading (and revising, sigh) time is being almost completely consumed. I'm worried I won't have time to promote these ARCs the way I'd like to before they come out. So I'm dropping the responsibility on YOU. 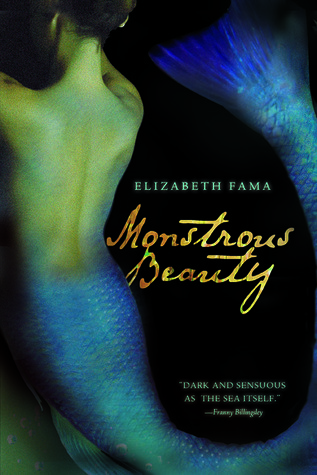 Monstrous Beauty by Elizabeth Fama. Fierce, seductive mermaid Syrenka falls in love with Ezra, a young naturalist. When she abandons her life underwater for a chance at happiness on land, she is unaware that this decision comes with horrific and deadly consequences. The Raft by S. A. Bodeen. Robie is an experienced traveler. She’s taken the flight from Honolulu to the Midway Atoll, a group of Pacific islands where her parents live, many times. When she has to get to Midway in a hurry after a visit with her aunt in Hawaii, she gets on the next cargo flight at the last minute. She knows the pilot, but on this flight, there’s a new co-pilot named Max. All systems are go until a storm hits during the flight. The only passenger, Robie doesn’t panic until the engine suddenly cuts out and Max shouts at her to put on a life jacket. They are over miles of Pacific Ocean. She sees Max struggle with a raft. 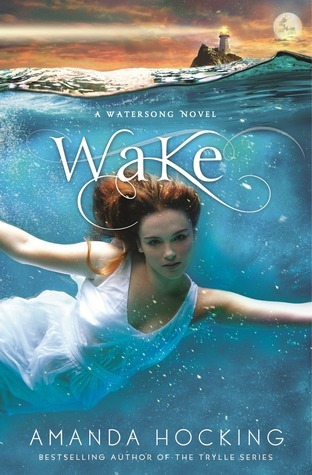 Wake by Amanda Hocking. Lose yourself in the magic of Watersong, an unforgettable new series about two sisters who nearly lose their lives - and their loves - when they fall under the spell of three beautiful but deadly sirens. The country you're from--one winner is guaranteed to be from someplace other than the US! This giveaway ends Wednesday, June 13. Great ARCs, Sara! The Raft looks right up my reading alley. I want The Raft! Andrew highly recommends that one. I'm off to tweet/face. The Raft sounds amazing! But not hear to enter but at least I have my eyes opened for when Raft can be in my hands asap! These all sound good but I think The Raft sounds the best. I do not have a blog so the best I could do is Goodreads. Thanks for the giveaway, and yay for moving! (Also, good luck!) 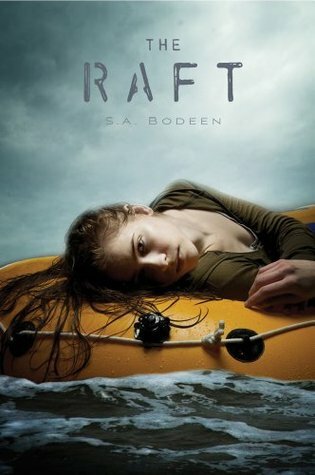 I'd love to read THE RAFT, and I'll be happy to promote it by sharing what I loved after reading it. I tweeted about your giveaway, so that's an extra point. Thanks, Sara! OOoh they're all so pretty!! I would like Wake! And I sooo promise to post my love for the ARC on my blog! And Goodreads! I live in the US too. I'd like Wake. I'd give it away on my blog though I'm backed up on my reading right now. I would love Wake...but any sound great. I think The Raft sounds really good and I would love to read and promote it. Thanks for the giveaway! All three books look good but The Raft and Wake sound especially awesome. I'm not sure which one I'd like more! Hmm...maybe The Raft. I'd like to win Wake by Amanda Hocking! I'd like a shot at Wake.